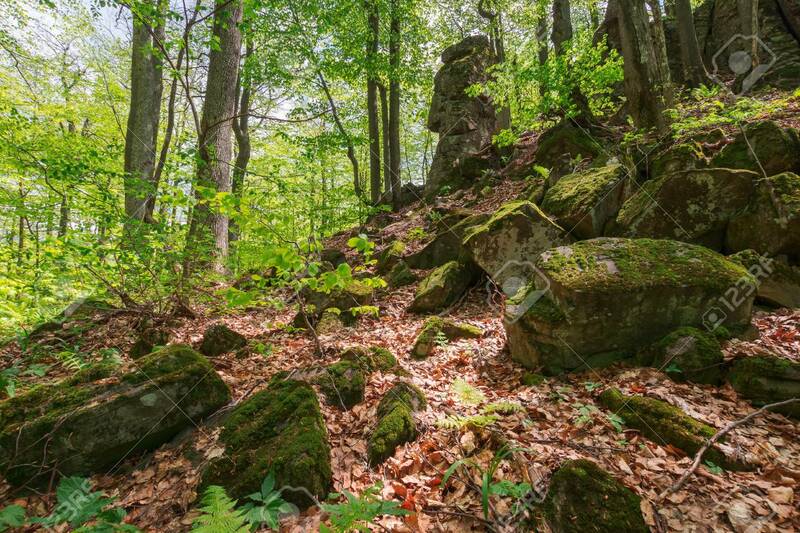 Huge Mossy Rocks In The Forest. Beautiful Nature Scenery In Spring... Stock Photo, Picture And Royalty Free Image. Image 116824846.